Photographer David Hagerman is one half of the duo behind the new cookbook Istanbul & Beyond: Exploring the Diverse Cuisines of Turkey, which will be published by Rux Martin Books/Houghton Mifflin Harcourt (USA) on October 10. 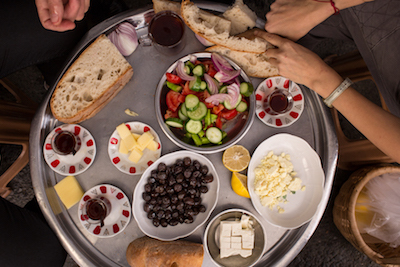 Together with Robyn Eckhardt, his journalist wife and the author of Istanbul & Beyond, he has crisscrossed Turkey countless times in order to document farm-to-table food culture and discover the country’s best dishes. The resulting book is a stunning culinary journey through Turkey, one told as much through the recipes collected as through Hagerman’s arresting photos. We spoke with David, who has photographed around the world for The Wall Street Journal, Travel + Leisure, Saveur, The Economist, The New York Times and other publications, about his approach to shooting the images for the book, culinary culture in Turkey and some of his favorite spots in the country. Read the rest of the Q&A at Culinary Backstreets.